Found 14 file extension associations related to GPS Pathfinder Office and 14 file formats developed specifically for use with GPS Pathfinder Office. 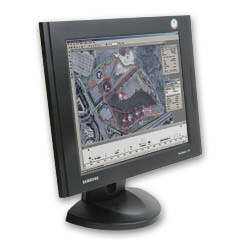 The Trimble GPS Pathfinder Office software adds value to your GIS data collection and data maintenance projects. It supports all aspects of GIS data collection and data maintenance for Trimble GPS Pathfinder receivers and GeoExplorer series handhelds. The GPS Pathfinder Office software enables you to pre-plan your field sessions for more productive field work. The data dictionary editor creates custom pick-lists, automatic repeat feature, and numeric values so that collecting many features and attributes is easy and accurate. In the field, the data dictionary prompts the field crew to enter specific information-ensuring data integrity and compatibility with your GIS or database. With GPS Pathfinder Office, files can be imported from a number of GIS and database formats so your GIS data can be taken back to the field for verification and update. You can review your data in map form to confirm it is exactly what you require before transferring it to your enterprise GIS. The differential correction process can improve the accuracy of your GPS positions from around 10 meters to submeter and better, depending on the environment and your GPS receiver. With Trimble's new H-Star technology you can achieve accuracies of subfoot (30 cm) and even 8 inches (20 cm) with the GeoXH handheld and GPS Pathfinder ProXH receiver. And you can be sure your data is differentially corrected using the best quality base data available using Trimble's unique Integrity Index grading system. To maximize productivity, GPS Pathfinder Office software offers a Batch Processing utility that automatically downloads the data, differentially corrects data to increase the accuracy, and exports it to a GIS database or mapping program—all in one step. If you need more information please contact the developers of GPS Pathfinder Office (Trimble Navigation Limited), or check out their product website.